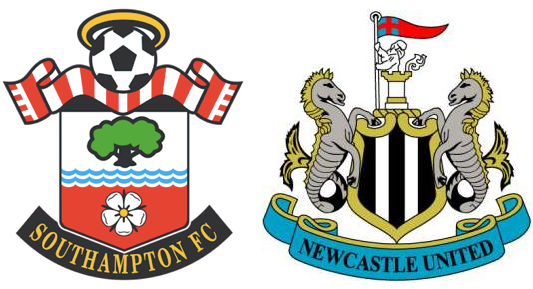 Newcastle United will travel to St. Mary's this weekend to face another difficult opponent in Southampton. The Magpies are coming off a tough defeat at the hands of Everton on Tuesday. And the news has gone from bad to worse on the injury front, with goalkeeper Tim Krul now expected to miss the next few matches with a knee injury. Mauricio Pochettino’s side will have an extra few days rest, having last played on Sunday against Tottenham Hotspurs. The Saints were up 2-0 after a half hour but ended up losing the match 3-2. With European football looking more like a fading dream for both clubs, this match could decide who finishes eighth in the table this season. Currently, Newcastle have a one point lead on Southampton after 31 matches played. Saturday’s match will be a clash between two of the Premier League’s most improved clubs. Newcastle played Southampton to a 1-1 draw on December 14th at St.James’ Park in the first meeting of the season between the two clubs. Alan Pardew has finished his stadium ban and will be allowed to continue most of his duties as club manager. However, he is yet to serve a four match touch line ban. John Carver will take charge of the club once again on Saturday at St.Mary’s. The interim boss has won once and lost twice in Alan Pardew’s absence. Newcastle will once again be missing several key players. The news got worse this week. Goalkeeper Tim Krul suffered a knee injury against Everton and will miss at least Saturday’s match. Davide Santon appeared fit enough to return from a knee injury last week but has since come down with tonsillitis. Mathieu Debuchy is still expected to be out longer with a groin strain. Bench players Sammy Ameobi (Ankle) and Gabriel Obertan (Knee) could return to action against Southampton. Loïc Rémy is not expected to be ready for Saturday but could return next weekend against Manchester United. Southampton are missing a few key players as well. French midfielder Morgan Schneiderlin has missed the last few matches with a muscle injury. While Victor Wanyama is battling a leg injury and could be unavailable as well. Mauricio Pochettino has favoured the 4-2-3-1 formation this season. Since the departure of Dani Osvaldo in January, Rickie Lambert has been the Argentine’s choice at centre-forward. Lambert will be well supported by Adam Lallana and Jay Rodriguez, who have been excellent this season. If Wanyama and Schneiderlin are unable to play on Saturday, Southampton have more than capable replacements in Gastón Ramírez, Jack Cork and Steven Davis. The Saints are solid at the back as well. José Fonte and Dejan Lovren will be the centre-back pairing on Saturday. Luke Shaw and Nathaniel Clyne should cause the Newcastle defence problems in the wide areas as well. Jay Rodriguez leads the club with 13 goals this season. Rickie Lambert is second with nine, followed by Lallana with eight. Rodriguez is in particularly good form, having scored a goal in each of the last three matches. Despite Newcastle’s recent lack of scoring, John Carver is not expected to make any major changes against Southampton. The Magpies are missing several key performers which has exposed the squad’s lack of depth. Newcastle is expected to line up in a 4-4-2 formation on Saturday. However, Rob Elliot will be in-goal for the visitors. Paul Dummett and Mapou Yanga-Mbiwa will likely start in place of Debuchy and Santon. Dummett has begun to establish himself in Santon’s absence. Luuk de Jong and Papiss Cissé are expected to be the striking partnership once again. Cissé has Newcastle’s only goal in the last three matches. Jong is yet to score since coming over in January. A goal would go a long way in convincing Alan Pardew that he should stay next season. Southampton have turned a good start into an excellent season. However, their recent form at home has been poor. They have only two wins in their last nine League matches at St. Mary’s since the beginning of December. They did beat Norwich City 4-2 in their last match at home two weeks ago. Newcastle will need to forget their mid-week encounter with Everton and look to finish the season strong. They have been good this season on the road. However, they have only won twice in six matches away from St.James’ Park in 2014. Newcastle United will overcome their scoring woes but it will not be enough to come away with a victory. The Magpies stay ahead of the Saints with a draw.